Our latest Knowledge Series breakfast briefing unveiled our most recent survey findings on corporate foundations around the world. Research published by Corporate Citizenship in 2016 found that corporate foundations in different parts of the globe are moving away from the traditional models of philanthropy towards a more strategic approach to social impact, often in partnership with their founding company. This was especially true of foundations registered in the last 10 years. We identified new operating models and looked at how foundations around the world are innovating by leveraging their unique assets to solve some of society’s biggest challenges. Our latest research looks at whether this trend has continued and examine what progress, if any, there has been. 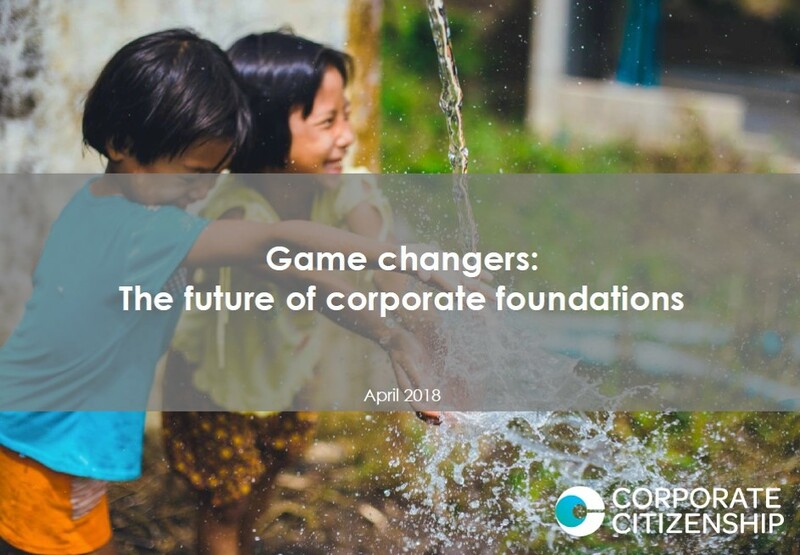 Are corporate foundations still going one step further in using their founding company’s expertise to create impactful programmes? Have other operating models emerged to deliver social change or is the foundations structure enduring? What are the differences across the globe?